With its friendly staff and 2-miles of hiking trails, Wargo Nature Center is a great place to go for a walk in the woods. 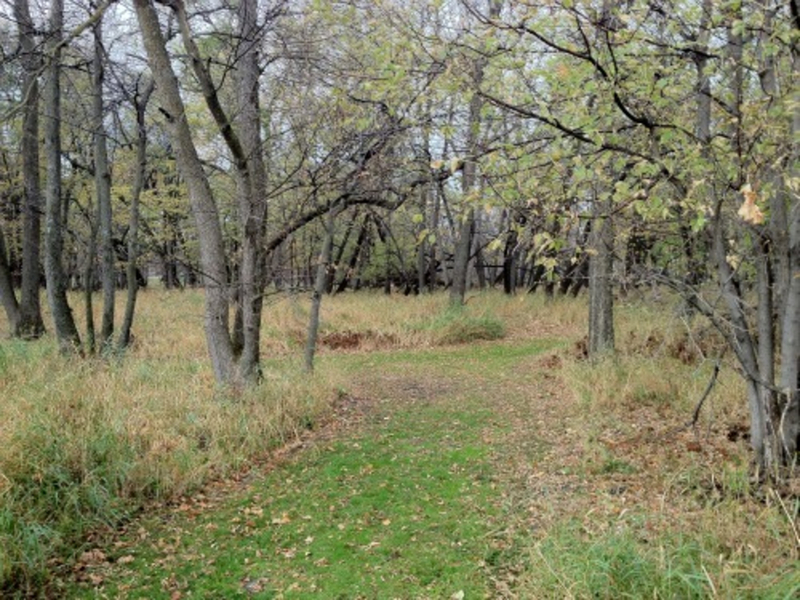 Joseph E. Wargo Nature Center is nestled within Anoka County’s Rice Creek Chain of Lakes Park Reserve. Found on a narrow peninsula surrounded by George Watch Lake, you will find 2 miles of interpretive trails and a nature center filled with exhibits and displays showcasing the species of animals and plants you will see in the park. George Watch Lake is just one of the 5 lakes that connects the 20-mile Rice Creek water trail all the way to the Mississippi River. Since the lake is very shallow, only reaching on average 4 feet deep, this offers prime environment for lush wetlands and lowland floodplain. From the center, there are a plethora of trails to choose from. In total, there are just under 2-miles worth of trails and each one offers something a little different. To the east is the Heron Trail Loop, which first takes you through a children’s playground and then to a lush wetland, which hosts many different species of waterfowl. While exploring this part of the trail, consider resting at the Heron Trail benches and looking out to the cattails and tall grasses. For the patient hiker, you may see great blue herons hunting for fish, wood ducks swimming with their partners, or even the elusive green heron hiding in the thick field of cattails. Another wildlife visitor you should keep an eye-out on is the osprey. Generally seen circling above George Watch Lake, these birds seek refuge within the Wargo Nature Center. North of the Heron Loop, you will notice a tall post looming in the distance. On the top is the osprey nest and for most years, birdwatchers and hikers alike have witnessed baby ospreys being born there. During the spring or early summer, the park’s naturalist hosts an event where you can watch the baby ospreys get tagged. While on the Heron Trail, if you’re patient enough, you may be lucky and see the osprey dive into the water and catch its dinner! The trail is bisected twice by the Maple Trail and the Basswood Trail, both of which take you through mature hardwood forest and back to the Wargo Nature Center. The distinctive American basswood trees and sugar and silver maples encompass hikers while walking on the trails. There are also two lookout points on the southern-most and western-most side of the peninsula. Both offer scenic views of George Watch Lake and the Rice Creek Chain of Lakes Regional Park. One of the lookouts is a dock as well, and for a daily fee, Wargo Nature Center rents out watercraft. After exploring the whole park and you want to continue hiking, the Woodpecker Trail and Deer Trail continue north to more forest shrouded in basswood, maple, and the occasional conifer. For those hikers who want to see something new, Wargo Nature Center is a great option for a day away from the Twin Cities. Also, the park often hosts kid-friendly events for families looking for something to do for the weekend. The park is open daily, except for Mondays. On weekdays, the park hours are 8 a.m. – 4:30 p.m. Saturday it is open from 9 a.m. to 5 p.m. and on Sunday from 12 p.m. to 5 p.m.
From the parking lot, walk south towards the Wargo Nature Center. It is a good idea to pop your head in, pick-up a brochure, and check out some of the exhibits. Don’t be shy to ask the friendly park staff about what flowers are blooming or what animals to look out for.